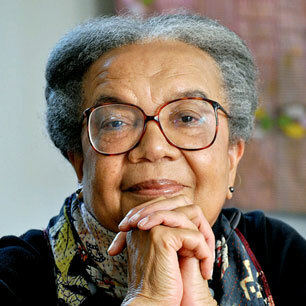 “Movements don’t start from the top, they start from the bottom with ordinary people like you and me,” declared Marian Wright Edelman in Parmer Hall Thursday evening as the keynote speaker for this year’s Center for Public Humanities Symposium. Edelman was the first black women admitted to the Mississippi Bar, graduating from Spelman College and Yale Law School. She founded the Children’s Defense Fund and has been fighting against child poverty in the United States for most of her life. Edelman has received over one hundred honorary degrees and awards including the Presidential Medal of Freedom, the highest civilian award, as well as authoring numerous books. Edelman’s vision was clear: eradicate 100 percent of child poverty in the United States. She stated, “Children only have one childhood, and we need to be moving with a sense of urgency.” She urged everyone to hold leaders accountable and fight for the advocacy of children. The reality is that child poverty could be easily solved if there was more adequate funding and better programs instilled. “We should all be talking about having no poor children in the wealthiest nation on earth,” Edelman said. But unfortunately, this is not the case. Not only are children going hungry, but Edelman also pointed out that a preschool child is more likely to be killed by guns than a law enforcement officer in the lines of duty. Children are this nation’s future and their hope is being disassembled before their eyes. Edelman called everyone to action to help eradicate child poverty in the United States. “We can do it by our votes, we can do it by our organizing, we can do it just by our passion.” She repeatedly urged to keep raising our voices until someone listens. Edelman’s advises all to remember the words of Martin Luther King Jr. when he said, “If you can’t fly then run, if you can’t run then walk, if you can’t walk then crawl, but whatever you do you have to keep moving forward.” Together, keep moving forward, for it is the ordinary people that will invigorate the movement of change. On February 26, a “Talk Back” Conversation is being held in Parmer Cinema to address further questions from the Keynote Lecture on ending child poverty. Addressing questions will be Jim LaGrand from the History Department, Robin Lauermann from the Politics Department, Don Murk from the Education Department and Ashley Sheaffer from the Agape Center.